You Save $28.80 by purchasing this kit rather than buying the items separately. Propylene Glycol, Sorbitol, Water, Sodium Stearate, Sodium Laureth Sulfate, Sodium Myristate, Sodium Cocoyl Isethionate, Sodium Lauryl Sulfate, Cocamide MEA, Cocamidopropyl Betaine, Methylparaben, Methylchloroisothiazolinone, Methylisothiazolinone, Citric Acid, Sodium Chloride, Glycerin, Fragrance, Titanium Dioxide, Benzophenone-4, Triethanolamine, Tetrasodium EDTA, Methylparaben, Propylparaben, Green 5, Yellow 5. 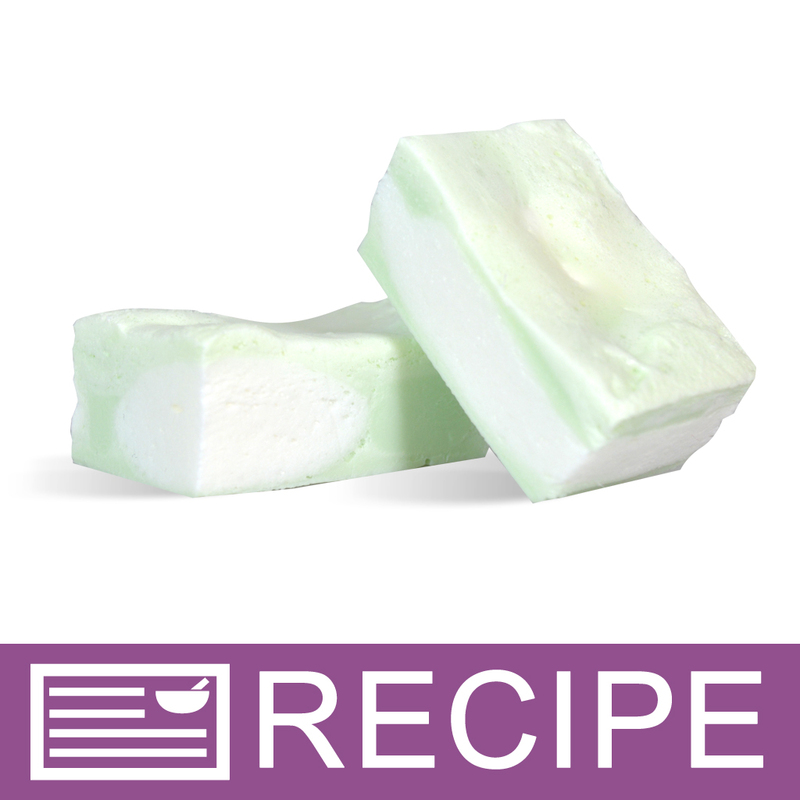 View the Chocolate Mint Marshmallow Floating MP Soap Recipe for detailed instructions on making this project. "Isn't a kit I would recommend." COMMENTS: Being this was my first kit, I would not recommend it. Yes, it does include a majority of all accessories needed and the process was fairly simple, however I can't seem to get the smell out of my home. It does not smell like Chocolate Mint Marshmallow which is a disappointment. It says to use a mini mixer but I wouldn't recommend it as it doesn't do much for what you need it to do. As far as floating, yes it floats if you do the mixing right to get a fluffy consistence. I would not recommend buying this kit. I used all precautions and the smell is strong and still lingering.